Australia is about to get much more serious about its future role on the high frontier of space. 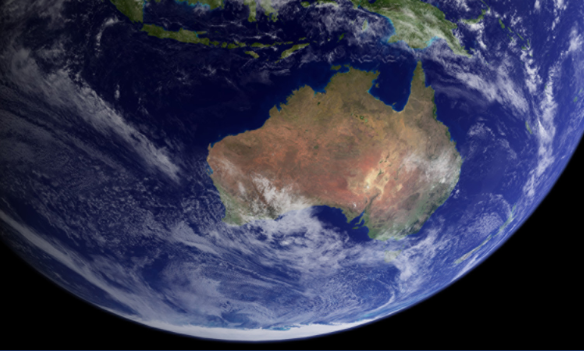 Following last year’s announcement of the formation of an Australian space agency, there’s gathering momentum across government and industry to think more seriously about having an Australian sovereign space capability that’s more than just ground stations and regulatory frameworks. Developing a sovereign space capability for Australia is the focus of my new ASPI Strategy report, Australia’s future in space, released today. It explores the case for exploiting innovative ‘Space 2.0’ technologies such as small satellites and ‘CubeSats’, as well as responsive space launch capabilities, to reduce Australia’s dependency on others and enable it to play a greater role in space alongside key allies. Australia’s traditional dependency on others for space access to support defence and national security creates an unacceptable risk that Australia could lose access to essential services in a crisis. Australia must respond to the reality that space is no longer a sanctuary from conflict, but is becoming a contested, congested and complex operational domain. The US intelligence community recently noted that adversary states are developing highly capable counter-space capabilities based around ‘hard kill’ anti-satellite weapons, as well as ‘soft kill’ systems such as jamming, electronic warfare and cyberattack. The assessment argues that these adversaries have every intention to use such weapons in a crisis. For the ADF, an adversary counter-space offensive could result in a rapid and catastrophic loss of military effectiveness, and an inability to undertake modern joint operations. That could lead to military defeat. It’s no longer necessary to accept that risk. 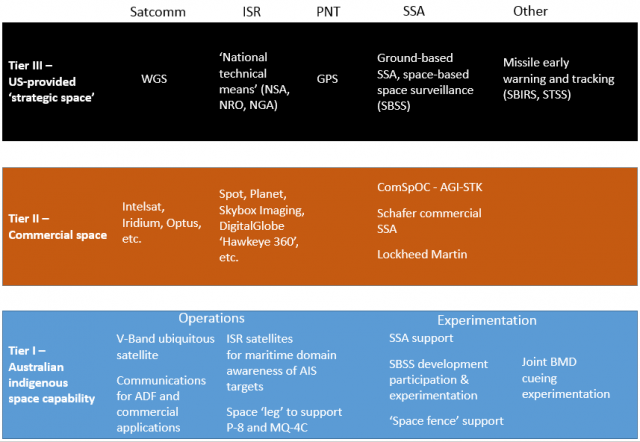 My paper highlights the global transformation of the space sector, and the significance of cost reductions offered by Space 2.0 systems to a level far cheaper than traditional satellite and launch technologies. CubeSats offer the military useful capabilities for a few million dollars, compared to the hundreds of millions or even billions of dollars for traditional communications and intelligence, surveillance and reconnaissance (ISR) satellites. They give us the option, for the first time, to build and operate our own. The proof is in the doing. Australia recently launched the locally developed Buccaneer CubeSat to calibrate the over-the-horizon Jindalee Operational Radar Network, and is developing three more CubeSats for the RAAF to undertake ISR roles. These satellites will be launched in 2018 and 2019. Getting satellites into orbit is also becoming much easier. Reusable rocket technology such as SpaceX promises to cut the cost of launching payloads drastically, while small, expendable satellite launch vehicles such as those developed by Rocket Lab, launching out of New Zealand, can put a small satellite into orbit for a few million dollars. Australian company Equatorial Launch Australia is set to open a spaceport near Gove, in the Northern Territory, while Gilmour Space Technology is developing its Eris orbital-class launch vehicle. 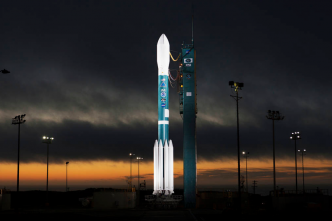 It could potentially launch Australian satellites from an Australian launch site. These developments give Australia the ability to boost its self-reliance in orbit, rather than wholly depending on allied space capabilities. A further justification for developing our own space capability is to ‘burden share in orbit’, particularly with the United States, and to support the establishment of multilateral space consortiums. Together, these would dissuade growing adversarial threats. 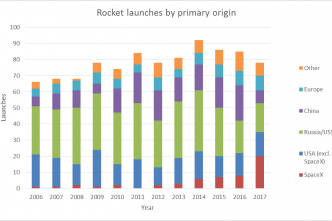 Space deterrence can be developed by disaggregating space systems from a smaller number of large, vulnerable, more complex and costly satellites into large, networked swarms of small satellites and low-cost CubeSats, which are much harder to attack. All of this isn’t to argue that we should become entirely autarkic in space. 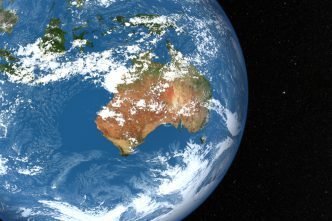 Australia will continue to rely on high–end, US-provided space capability, as well as commercial space systems such as Intelsat. But I argue that Australia can add a sovereign layer missing from the current space architecture, as illustrated below in Figure 1. Tier III can complement US and commercial systems, provide niche capabilities, offer responsive reconstitution and boost space resilience. All this boosts deterrence and dissuasion by making an adversary’s counter-space campaign less likely to be effective. 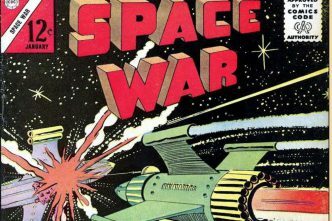 I also argue that Australia should aim to update its approach to space in the next defence white paper to explicitly embrace an increasing degree of space self-reliance. This would be based on the Space 2.0 model of low cost and innovative technologies—including small satellites, CubeSats and responsive space launch. This should occur in lock-step with efforts to boost the Australian space industry and develop a commercial space sector locally. The commercial sector is important, and can contribute to Defence’s needs in space wherever possible. Australia needs to recognise that the global space sector is rapidly changing. The traditional approach of government-run ‘end-to-end’ space programs (what might be called Space 1.0), epitomised by NASA in the United States, is increasingly challenged by rapidly developing commercial space companies exploiting Space 2.0 paradigms. The ‘new space’ companies embrace risk, encourage innovation, have bold visions for the future and emphasise a ‘can do’ spirit. Australia needs to adopt this innovative and bold thinking about space, and be prepared to lift its gaze skywards. Australia can do more than just host joint facilities—what the late Des Ball often referred to as providing a ‘suitable piece of real estate’. We can develop a presence in orbit to enhance ADF operational capability and reduce risks that loom in the future. Malcolm Davis is a senior analyst at ASPI. Edited image courtesy Reto Stockli and Robert Simmon © NASA Goddard Space Flight Center.